Not sure what IT support means with IMAP server? Wondering what exactly a "From" header is in an email? Find the most common email terms defined in this to-the-point glossary. APOP, short for Authenticated Post Office Protocol, is an extension of the Post Office Protocol that allows passwords to be sent in encrypted form. APOP is more secure than normal plain text POP authentication but also suffers from serious shortcomings. An attachment is a file (such as an image, a word processing document or an mp3 file perhaps) that is sent along with an email message. Backscatter is a delivery failure report generated by a junk email that used an innocent third party's email address as the sender (which address receives the delivery failure message). Base64 is a method for encoding arbitrary binary data as ASCII text, to be used, for example, in an email body. A Bcc, short for "blind carbon copy", is a copy of an email message sent to a recipient whose email address does not appear (as a recipient) in the message. A Blacklist collects known sources of spam. Email traffic then can be filtered against a blacklist to remove spam from these sources. A Cc, short for "carbon copy", is a copy of an email message sent to a recipient whose email address appears in the message's Cc header field. An email address is a name for an electronic postbox that can receive (and send) email messages on a network (such as the internet or a local network not connected to the wider internet). The email body is the main part of an email message that contains the message’s text, images and other data (such as attached files). 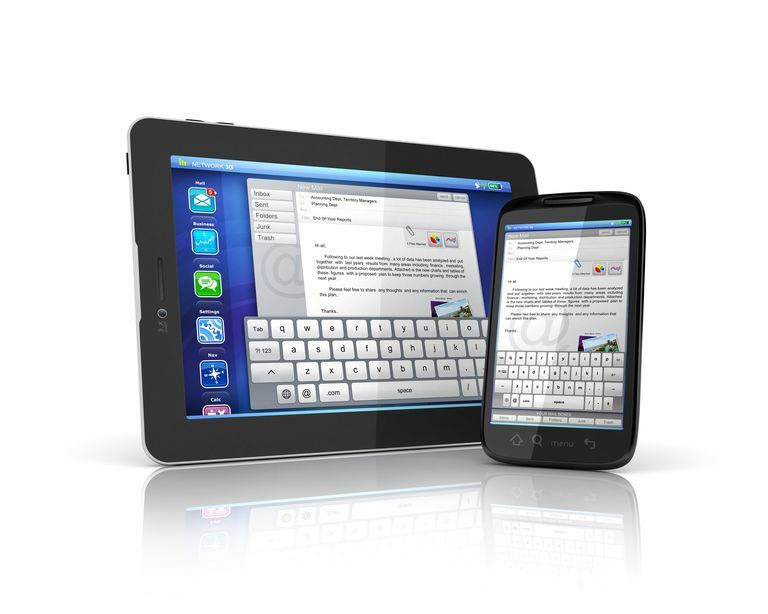 An email client is a program (on a computer or mobile device, for example) used to read and send electronic messages. Email header lines make up the first part of ​any email message. They contain information used to control the message and its transmission as well as meta-data such as the Subject, origin and destination email addresses, the path an email takes, and maybe its priority. An email server is a program running at Internet Service Providers and large sites used to transport mail. Users normally do not interact with email servers directly: email is submitted with an email client to an email server, which delivers it to the recipient's email client. The "From:" header field, in an email, contains the message's author. It must list the email address, and one can add a name as well. A GB (gigabyte) is made up of 1000 MB (megabytes) or 10⁹ (1 billion) bytes. A byte is a basic unit of storing information electronically made up of 8 bits; each bit has two states (on or off). IMAP, short for Internet Messaging Access Protocol, is an internet standard that describes a protocol for retrieving mail from an email (IMAP) server. IMAP allows email programs to access not only new messages but also folders on the server. Actions are synchronized between multiple email programs connected through IMAP. IMAP IDLE is an optional expansion of the IMAP email accessing protocol that allows the server to send new message updates to the client in real time. Instead of having your email program check for new mail every few minutes, IMAP IDLE allows the server to notify your email program when new messages have arrived. You can see incoming mail immediately. LDAP, short for Lightweight Directory Access Protocol, defines a means to find and edit information in white pages. Using LDAP, email, groupware, contact and other software can access and manipulate entries on a directory server. List-Unsubscribe is an optional email header line that lets mailing list administrators specify means to unsubscribe from a mailing list or newsletter. Email programs and web-based email services can use this header to offer an easy method for unsubscribing. Mailto is an HTML tag that allows visitors to a site to click on a link that creates a new message in their default email program. It is possible to set not only a default email recipient but also default Subject and message body content. MIME, short for Multipurpose Internet Mail Extensions, specify a method to send content other than ASCII text via email. Arbitrary data is encoded as ASCII text for MIME. Phishing is a fraudulent practice in which private data is captured on websites or through an email designed to look like a trusted third party. Typically, phishing (from "password fishing") scams involve an email alerting the user to a problem with their bank or another account. POP (Post Office Protocol) is an internet standard that defines an email server and a way to retrieve mail from it. In contrast to IMAP, POP only lets the email client download recent messages, to be managed in the program and on the device. PST, short for Personal Folders File, is the format used by Microsoft Outlook to store data locally. A PST file holds emails, contacts, notes, the to-do list, calendars and other Outlook data. Public key cryptography uses a key with two parts. The public key part is used for encryption exclusively for the recipient, whose private key part is applied for decryption. For public key cryptography to be safe it is important that only the intended recipient knows the private part of the key. Request For Comments (RFC) is the format Internet standards are published in. RFCs relevant for email are published by the Internet Engineering Task Force (IETF) and include RFC 821 for SMTP, RFC 822, which specifies the format of Internet email messages, or RFC 1939, which lays down the PO protocol. S/MIME is a standard for secure email messages. S/MIME messages offer sender authentication using digital signatures and can be encrypted to protect privacy. SMTP, short for Simple Mail Transfer Protocol, is the protocol used for email on the Internet. It defines a message format and a procedure to route messages through the Internet from source to destination via email servers. Spam is unsolicited email. Not all unsolicited email is spam, however. Most spam is sent in bulk to a large number of email addresses and advertises some product or—considerably less often—political viewpoint. Something is spamvertised when it is promoted (or merely appears) in spam. The term is commonly used with Web sites or email addresses that are part of the body of an unsolicited commercial email. The "Subject" of an email message should be a short summary of its contents. Email programs usually display it in a mailbox display together with the sender. Threadjacking (also threadwhacking) is to steer off the original topic in an email thread, especially on a mailing list. Threadjacking can also apply to other conversations on the internet, of course, say on message boards, blogs or social networking sites. Whether the threadjacker changes the subject line to reflect the change in subject or retains the original email subject, to take over a thread can be regarded as threadjacking in either case. The To: line of an email contains its primary recipient or recipients. All recipients in the To: line is visible to all other recipients, possibly by default. Unicode is a way to represent characters and symbols on computers and devices with support for most of the world's writing systems (including African, Arabic, Asian and Western). Web-based email provides email accounts that are accessed through a web browser. The interface is implemented as a website that provides access to the various functions like reading, sending, or organizing messages. A worm is a program or script that replicates itself and moves through a network, typically traveling by sending new copies of itself via email. Many worms have no negative effect except resource consumption, but some will perform malicious actions. Do You Know What POP Stands for and What It Does for Email?